Yet another addition to the Hejnar Special Clamps family came up late last month. 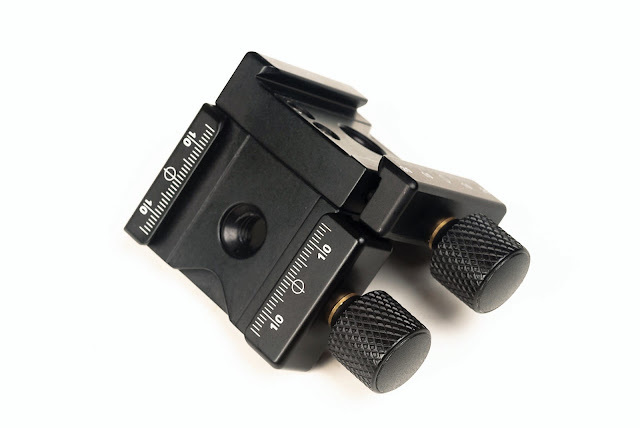 It is a modular 90° angle dual quick release clamp with the simple model name F52. 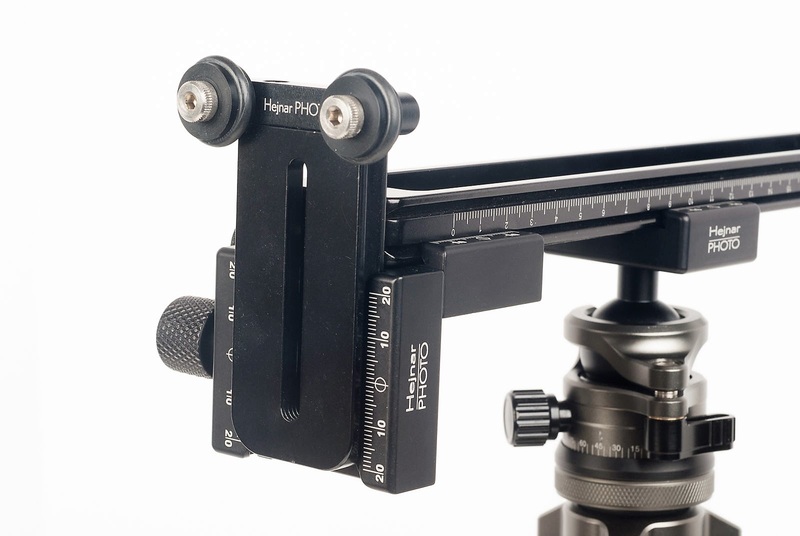 The F52 90° angle clamp can find many uses like attaching two rails perpendicular to each other so they may be used for lens support or even can hold one or more rails in vertical position for shooting panoramas and/or stereo 3D images. Nevertheless it maintains the high quality characteristics of the Hejnar PHOTO clamps like Tongue in Pocket design of the moving jaw guides which guaranty a long term impeccable operation by not allowing dirt and grit entering the clamp interior. Further this design also prevents the moving jaw of hinging backwards when tightened and maintain its alignment with the geometry of the clamped plate / rail. As obvious from the photos the F52 is modular with the longer jaw clamp being secured by 2 long M3 screws on the side of the short jaw clamp. 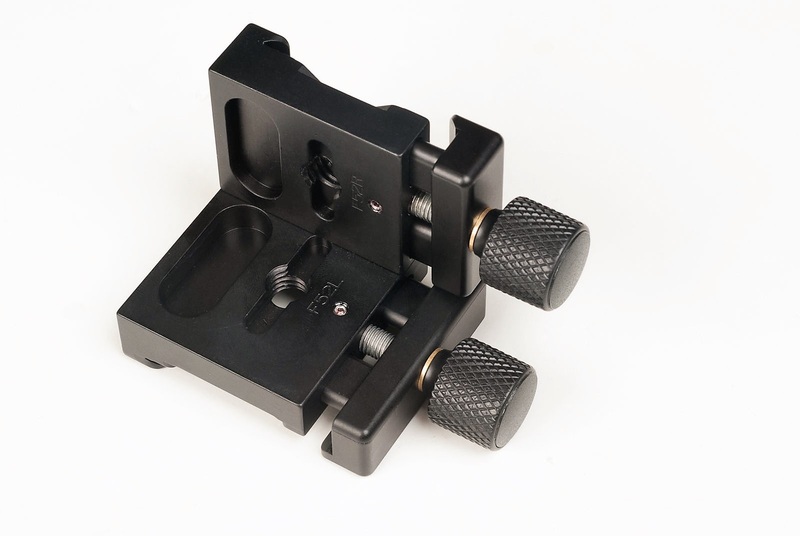 Nonetheless, the two clamps are not common Hejnar clamps but designed exclusively for this purpose. Both sides have laser engraved decimal scales on all jaws, while safety stop screw relief grooves, 2.6 mm deep that can accommodate any safety stop screw, exist only on the outer edges of the two sides. Hejnar PHOTO F52 90° angle QR Clamp long side with attachment screws. The screw knobs are black anodized as well with a knurled surface for better grip. They are short keeping the whole structure more compact. Hejnar PHOTO F52 90° angle QR Clamp short side showing short black knobs. 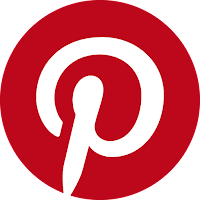 The F52 is equipped with center countersunk and threaded sockets on both sides, therefore it can be mount on some ball heads with probably a longer ball stem. Furthermore, the underside of the clamps follow exactly the design of all Hejnar clamps with mounting grooves and hollowed out pattern where possible. Hejnar PHOTO F52 90° angle QR Clamp under side showing massive structure and tongue in pocket design. 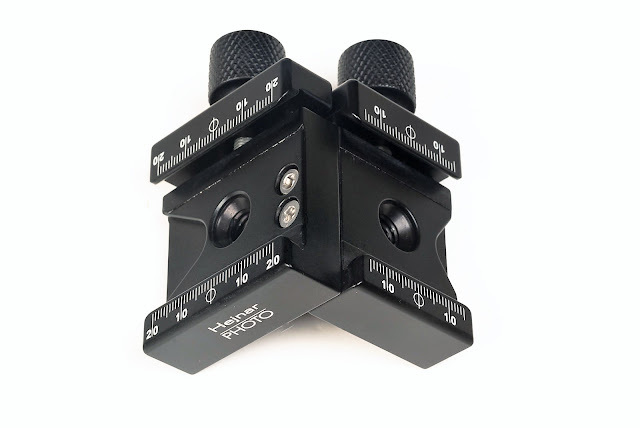 A fine usage example is a lens support for telephoto lenses with very short collar foot, where the supporting Yoke has to be lowered close or below the level of the long rail. In this case the F52 90° clamp may be clamped on the under side of the long rail by its lower dovetail as illustrated in the picture below. Hejnar PHOTO F52 used as Long Lens Support adjustment clamp below the long rail level. 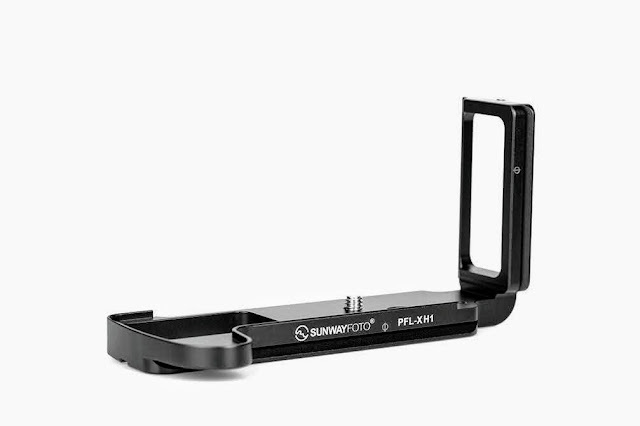 Nevertheless, it can also be utilized as a quick connect solution holding a vertical rail in a panorama head structure allowing for either height adjustment or horizontal adjustment of the camera. 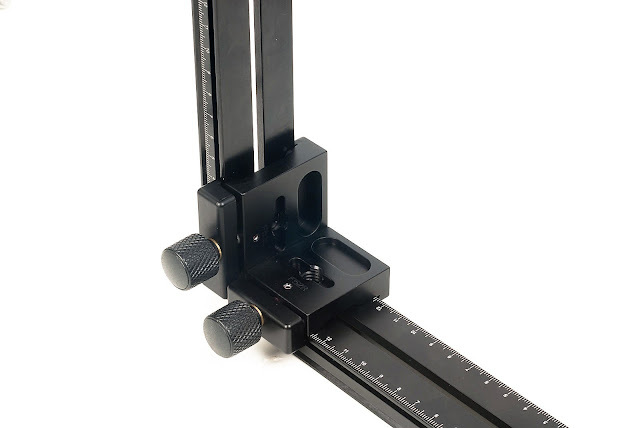 Even more it can be used as a holder for adjustable vertical rail(s) in a 3D stereo rig. Your imagination is the limit. Hejnar PHOTO F52 used as vertical rail support with vertical or horizontal adjustment. 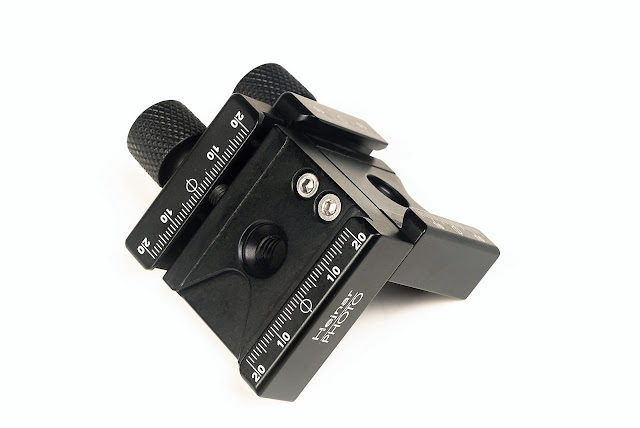 Current price for the F52 90° clamp is US$ 70.00 (+Shipping where applicable) and is available from the Hejnar Photo online Store.